We manufacture Paralite Para Squire Concealed Mounting PLL Fitting with superior quality raw materials. We supply these mounting PLL fitting with white powder coating and stainless steel materials. Our range available is offered in two types that includes concealed/recess mounting and surface mounting. Mirror optic fittings offered by us includes 1x11w, 2x11w, 3x11w, and it goes on it 2 x 40 w fl. These tube lights are available in different sizes, designs and power capacities to befit the demands of our clients. We manufacture SS with Glass with high quality materials. These are Parabolic with decorative Milky Glass with 18x18Size. We provide these paralite with in Clean Room Fittings. These lights are dark Lighters arranged on the Wall and used as Washers Paralites. 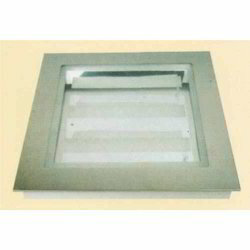 These are provided with Wall Washer Soft Light Wings. These are also supplied with international quality standards, these lights can also be availed in customized forms. These are resistant and drip proof engine room light fitting suitable for 3X36W. We enable to offer these mirror optics fittings in different specifications. We manufacture SS Paralite according to the requirements of the clients. These are Parabolic with decorative Milky Glass with 24x 24 Size. We provide these paralite with in Clean Room Fittings. 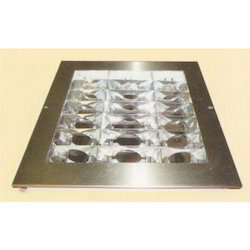 These are also supplied with international quality standards, these lights can also be availed in customized forms. These lights are dark Lighters arranged on the Wall and used as Washers Paralite. These are provided with Wall Washer Soft Light Wings. These are resistant and drip proof engine room light fitting suitable for 3X36W. We enable to offer these mirror optics fittings in different specifications. We manufacture SS Mirror Optic with high quality materials. These are Parabolic with decorative Milky Glass with 18x 18 Sizes. We provide these paralite with in Clean Room Fittings. These lights are dark Lighters arranged on the Wall and used as Washers Paralites. 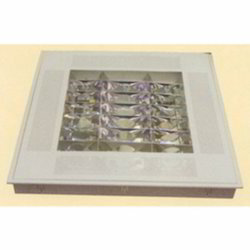 These are also supplied with international quality standards, these lights can also be availed in customized forms. 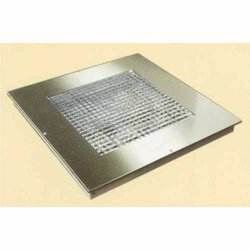 These are provided with Wall Washer Soft Light Wings. These are resistant and drip proof engine room light fitting suitable for 3X36W. We enable to offer these mirror optics fittings in different specifications. We manufacture Mirror Optic with superior quality raw materials. These are Parabolic with decorative Milky Glass with 24x 24 Size. We provide these paralite with in Clean Room Fittings. These are also supplied with international quality standards, these lights can also be availed in customized forms. These lights are dark Lighters arranged on the Wall and used as Washers Paralite. These are provided with Wall Washer Soft Light Wings. These are resistant and drip proof engine room light fitting suitable for 3X36W. We enable to offer these mirror optics fittings in different specifications. Looking for Paralite Parasquire Concealed Mounting PLL Fitting ?